As an independent full service Ohio and Indiana insurance agency our duty is to our clients. As your insurance agency, it is our responsibility to provide YOU the best service and the best coverage, at the best possible price. We offer competitive insurance programs for all Ohio and Indiana Automobiles, Trucks, Motorcycles, Cars, Boats, and RV's. We provide complete property, casualty, health, and commercial insurance to all Ohio and Indiana families, individuals, and businesses. We know you expect the best value without sacrificing personalized service and that’s what we do at Eastside Insurance Agency Incorporated. 1. Call our Lima office at 419-229-3328 or 1-800-686-3961 and get an instant quote over the phone from one of our friendly representatives. We always prefer to take our time to talk to you personally. This is our responsibility to you, and if we are going to be your agent, we should do the work. Our Beavercreek office can be reached at 937-320-0029. Our Medway office can be reached at 937-482-0019. 2. 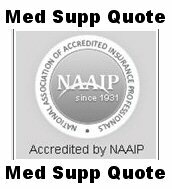 Quick Quote Request – Simply select the appropriate form from the Free Quotes menu or From any of the section menus, fill in the requested information and get your quick quote from many of Ohio's best insurance companies. We are committed to providing you with great service and protection at affordable rates. We make YOU our number one priority.